Incidentally, it was through Mayaanadhi director Aashiq Abu’s Da Thadiya that Sekhar made his acting debut. One of the factors that make Prithviraj’s latest release, 9, such an immersive big-screen experience is the synthesizer-heavy background score of Sekhar Menon. The actor/musician’s work helped bring to the narrative a sense of urgency and one can’t imagine the film without it. Sekhar’s score is reminiscent of the works of popular Hollywood composers like Hans Zimmer and Johan Johansson. “Synthesizers are my weakness, and we have used it a lot in 9,” says Sekhar, who works on an advanced synthesizer called the ROLI Seaboard, which has also been endorsed by maestro A R Rahman. 9, directed by Jenuse Mohammed, is Sekhar’s first full-fledged work as a composer. Sekhar wrote the background score while Shaan Rahman composed the songs. Sekhar had previously contributed for individual tracks in the films, Mayaanadhi and Parava, in collaboration with composer Rex Vijayan. Incidentally, it was through Mayaanadhi director Aashiq Abu’s Da Thadiya that Sekhar made his acting debut. Sekhar had also appeared in Aashiq’s Gangster, Ranjith’s Kadal Kadannoru Mathukutty, Jis Joy’s Bicycle Thieves, and Jenuse’s directorial debut 100 Days of Love. 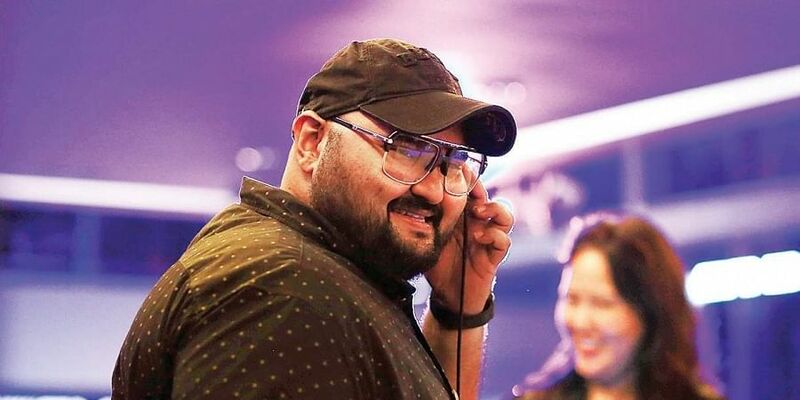 On his decision to do 9, Sekhar says, “When I heard the script, I asked Jenuse what kind of music he was looking for because it wasn’t a normal script. It certainly required something different and unique. At that point, Jenuse hadn’t even decided on the composer. So I asked him if I could try something, and he gave me the go-ahead. He liked 2-3 tracks I’d written, and asked me to write the score. I came up with 4-5 tracks before the shoot, and those helped them plan the shots accordingly. Obviously, I had to make minor changes to the music after filming and during post-production.”Since Sekhar and Jenuse are beginners in the industry, the two made sure that the work they produced was of the highest quality. “Jenuse was very particular about not just the music but also the other technical departments. 9 has a subject that demanded a high level of technical support. By God’s grace, everything turned out well. Of course, some people didn’t understand the story, but then everyone has their way of comprehending and interpreting a film. I’m happy that a film I worked on is currently being talked about on social media,” says Sekhar.